Over the past 18 months the SWEA Constitution Committee has worked to update and expand the SWEA Constitution. 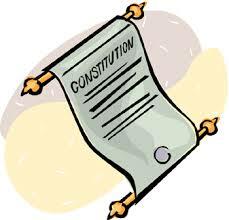 Committee members including; President John Hackett (SWHS), Glenn Flanders (SWHS), Ted Burhans (TEMS), John Barresi (TEMS) and Joe Camire (SWHS) reshaped the document to better clarify and modernize the Constitution and Bylaws. Additions include; duty descriptions for Executive Board members, electronic voting for future Constitutional changes and elections, standardization of General Body Meeting tasks and updated language necessary for transparency. The document can be found at the link below, with proposed reductions using the strike-through and additions in red text. Please note – Constitutional changes were brought before the Representative Council in consecutive meetings (March/April) and will be voted on during the General Body Meeting on June 10th in the SWHS Media Center. Any questions should be directed to Joe Camire. This entry was posted in Information by SWEANews. Bookmark the permalink.